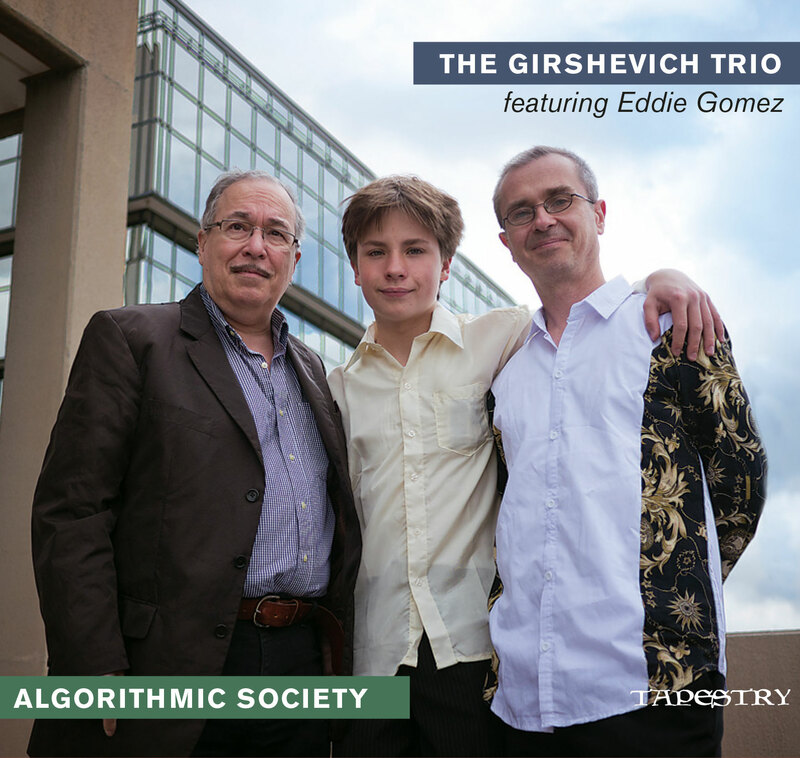 Algorithmic Society is an amalgam of improvised trio music from veteran pianist / composer Vlad Girshevich, his 12 year old drummer prodigy son Aleks Girshevich and legendary bassist Eddie Gomez. The musicians in this group span three generations! All of the compositions are originals written by the father and son team with Aleks creating the grooves and Vlad penning the melodies. The tunes incorporate influences of some of the finest composers in history while also integrating modern age ideas. The music is sophisticated, thoughtful and full of surprises and the trio plays as a unit of the highest level. The performances are exciting and the sound is impressive.